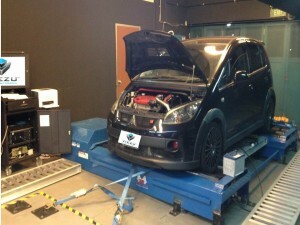 Car Tuning Courses and ECU Remapping Training in Singapore For the first time this week the Viezu Training Academy is holding is world class car tuning training sessions in Singapore, the VTA training course being held has been specially put together to cover vehicles and tuning for the Asian Market. Car tuning in Singapore is hot business, and its not just the temperature, the car tuning scene in Singapore and across Asia is huge, customers are passionate about performance and tuning and so the Viezu Academy thought it was time we took our car tuning training there. The Viezu car tuning training is full on and very detailed, covering how to down load car ecu files, how to find the files key for tuning, how to change them and by how much, nothing is left uncovered, including how to copy ecu files, re-use and clone tuning files. This weeks 3 day Gasoline tuning course especially tailored to the Euro gasoline vehicles in the market of Singapore, this includes Audi and VW tuning for the Asian market, as well as Porsche, BMW and Mercedes. Our next planned tuning training sessions include USA, Indian and of course the UK. – so if want to know everything about car tuning – get in contact now and book your place on one of this year’s car tuning training sessions.